April | 2012 | Beyond The Yew : Saying NO to Zionism! Co-op, fifth biggest supermarket chain in Britain, emphasizes it will continue doing business with companies that can guarantee none of their products come from outside the Green Line. One of the largest supermarket chains in Britain has announced that it intends to boycott Israeli agricultural exporters that market also produce from the West Bank settlements. While British food retailers have for some years now been labeling products that are grown or manufactured in settlements and in some cases boycotting them entirely, this is the first move by a major company to end all dealings with companies that export products from within the Green Line and from the settlements. The main companies that will be impacted by this decision are Agrexco, Mehadrin and Arava. The announcement came this weekend following years of campaigning by pro-Palestinian organizations in Britain that have been lobbying for boycotts, divestment and sanctions (BDS) of Israel. Co-op, the fifth biggest supermarket chain in Britain has emphasized that this is not a boycott of Israel and that it will continue doing business with companies that can guarantee none of their products originate from outside the Green Line. The attempts to limit the export of settlement produce to Europe were led in the past by the European Union and the British government. In 2009, the British government, at the express instructions of former Prime Minister Gordon Brown, issued guidelines to retailers on clear labeling of produce made in settlements, differentiating it from Palestinian produce and products that were made within the Green Line. These guidelines followed Israeli refusals to label settlement products before being exported to the EU. The issue of labeling settlement produce was a major bone of contention between the British and Israeli governments at the time. In recent years, the BDS movement has targeted companies such as Agrexco, an export cooperative that serves thousands of farmers, kibbutzim and small agricultural companies in Israel that has continued to export settlement produce. The Pentagon stated on Wednesday that the top U.S. military officer has ordered a review of training material after a course for officers was found to consider that the United States is at war with Islam, Reuters reported. 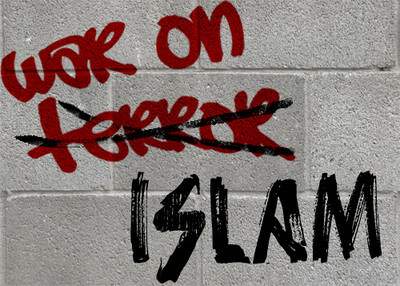 The review was prompted by a soldier who sent a complaint after having completed an elective course entitled “Perspectives on Islam and Islamite Radicalism” at the Joint Forces Staff College in Norfolk, Virginia. The course included an assertion “that the United States is at war with Islam and we ought to just recognize that we are war with Islam,” Pentagon spokesman, Captain John Kirby was quoted as saying. Was it a momentary lapse of concentration or an honest admission? Official Iranian media reports “major terrorist group from the Zionist regime” uncovered and several members arrested “while preparing to carry out terrorist acts”; bombs, machine guns reportedly seized. DUBAI – Iran said on Tuesday it had identified a “major terrorist group” it said was affiliated to its arch-foe Israel and had arrested some of its members, the official IRNA news agency reported, citing a report by the country’s Intelligence Ministry. “Iran’s Intelligence Ministry announced it has identified a major terrorist group from the Zionist regime (of Israel) and has arrested some of its protected operational members inside the country,” IRNA reported without making clear when the arrests had taken place. The semi-official Fars news agency said the suspects were arrested “while preparing to carry out terrorist acts”, adding that a considerable number of bombs, machine guns, military and communication equipments were seized. President of Islamic Republic says country could manage two to three years without selling oil; nuclear talks with West scheduled to begin next week. 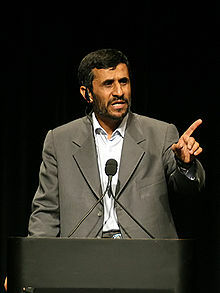 Iranian President Mahmoud Ahmadinejad said Iran has enough funds to withstand a total embargo on its oil sales for several years, Iranian media reported on Tuesday. “[Western powers] want to impose sanctions on our oil and we must say to them that we have that much saved that even if we didn’t sell oil for two to three years, the country would manage easily,” Ahmadinejad said during a visit to Hormuzgan province. On Monday, the U.S. said that time is not infinite for nuclear talks between Iran and the West – five days before a planned round of talks was set to begin. The White House added that the window of opportunity in which a diplomatic solution can be reached is closing. Iran’s nuclear chief Fereidoun Abbasi told state TV late Sunday that Tehran could stop its production of 20 percent enriched uranium needed for a research reactor, and continue enriching uranium to lower levels for power generation. This could take place once Iran has stockpiled enough of the 20 percent enriched uranium, Abbasi said. Late last week, the Washington Post reported that Obama recently passed a message to Iran’s Supreme Leader Ayatollah Ali Khamenei which signaled that the United States would agree to an Iranian civilian nuclear program if they proved they were not developing a nuclear bomb.